Today May 9th 2010 (Mothers Day) is the beginning of my personal migration across the USA from Florida back to California. Driving across the southern states I will be making this trip for the 5th time in 4 years. The trip is just about 3000 miles and takes about 70 hours total drive time. I will be passing through 8 states. My destination is Long Beach, Ca and I should be there by Thursday. I will be exhibiting at the Long Beach Scuba Show on Saturday and Sunday. We will have an exciting object in our booth this years. It promises to be a real show stopper! I will be sending updates from the road along the way! 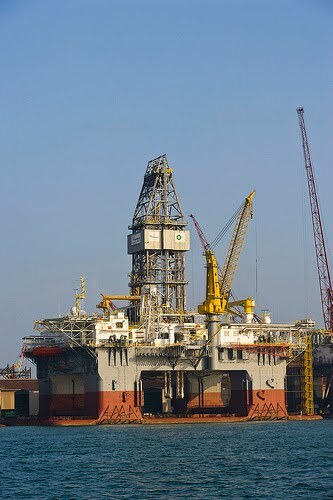 The drill ship Deepwater Horizon was finishing work on an exploration well named Macondo, in an area called Mississippi Canyon Block 252. 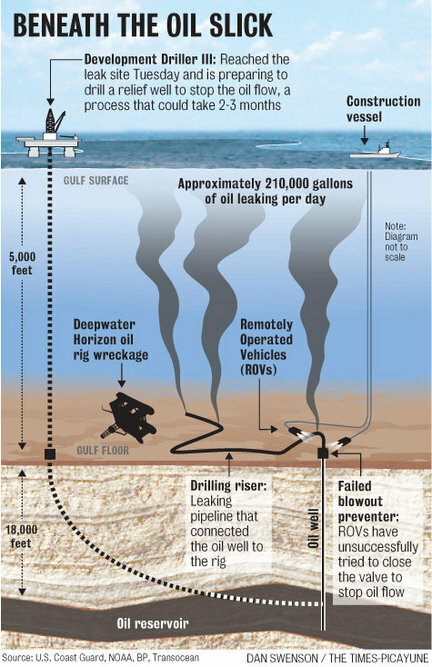 After weeks of drilling, the rig had drilled down over 18,000 feet, into an oil-bearing zone. The Transocean and BP personnel were installing casing in the well. 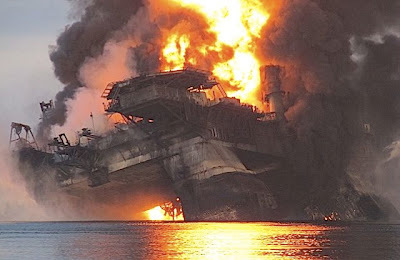 BP was going to cap the well, and then move the Deepwater Horizon to a different location and bring in another rig to produce the oil. Producing oil from the well is work done with entirely different equipment than the exploratory drilling ship is designed to do. The Macondo Block 252 reservoir may hold as much as 100 million barrels. 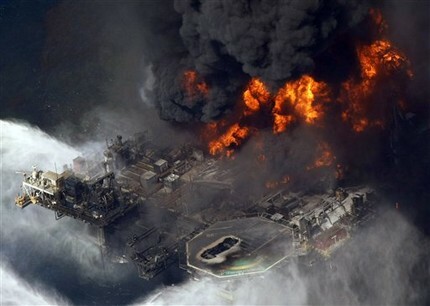 That’s not as large as other recent oil strikes in the Gulf, but BP management was still pleased. 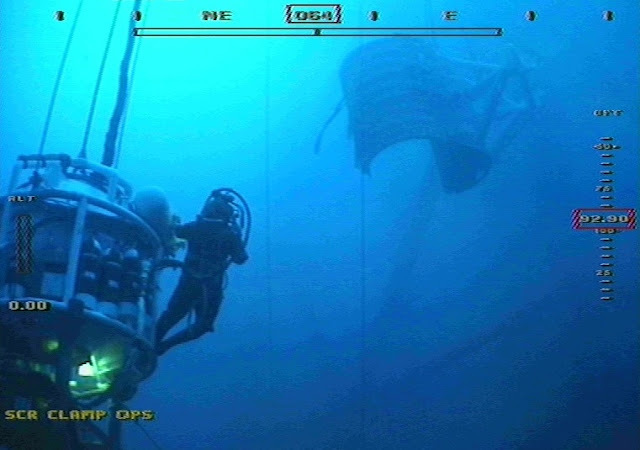 Success is success—certainly in the risky, deep-water oil environment. The front office of BP Exploration was preparing a press release to announce a “commercial” oil discovery. This kind of exploration success was par for the course for Deepwater Horizon. A year ago, the vessel set a record at another site in the Gulf, drilling a well just over 35,000 feet and discovering the 3 billion barrel Tiber deposit for BP. So Deepwater Horizon was a great rig, with a great crew and a superb record. 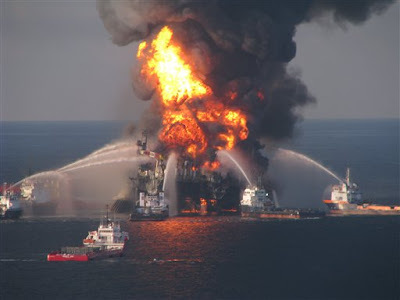 Witnesses state that the lights flickered on the Deepwater Horizon. 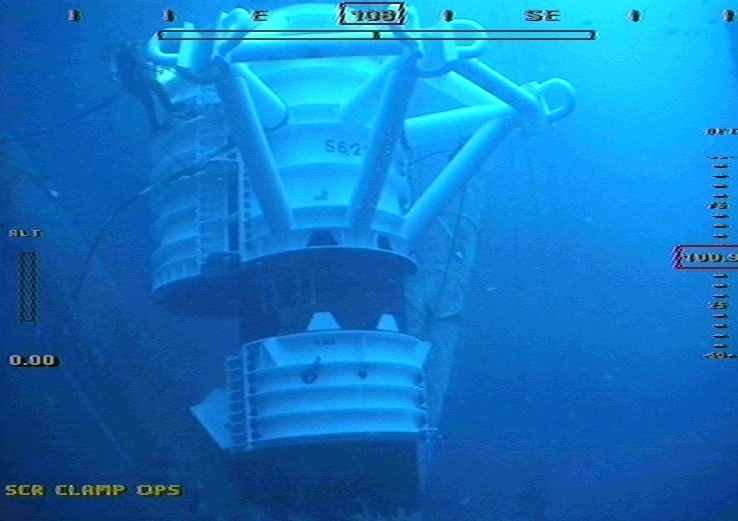 Then a massive thud shook the vessel, followed by another strong vibration. Within a moment, a gigantic blast of gas, oil and drilling mud roared up through three miles of down-hole pipe and subsea risers. The fluids burst through the rig floor and ripped up into the gigantic draw-works. The scene was terrifying! It is amazing that only 11 were lost. “Gas and oil rushed up the riser; there was little wind, and a gas cloud got all over the rig. When the main inductions of the engines got a whiff, they ran away and exploded. Blew them right off the rig. This set everything on fire. A similar explosion in the mud pit / mud pump room blew the mud pumps overboard. Another in the mud sack storage room, sited most unfortunately right next to the living quarters, took out all the interior walls where everyone was hanging out having - I am not making this up - a party to celebrate 7 years of accident free work on this rig. 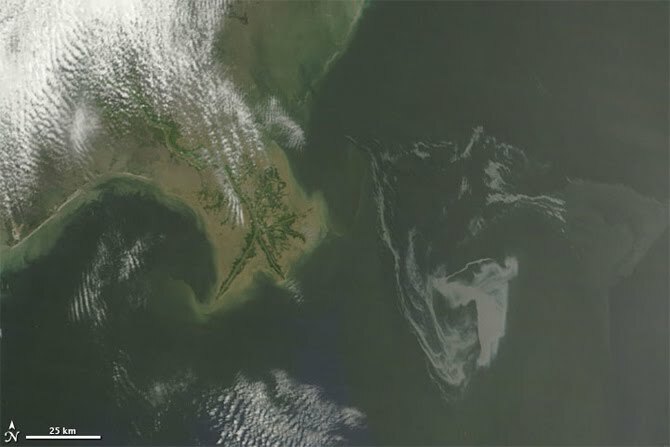 NASA's Terra satellite flew over the Deepwater Horizon rig's oil spill in the Gulf of Mexico on Saturday, May 1 and captured a natural-color image of the slick from space. 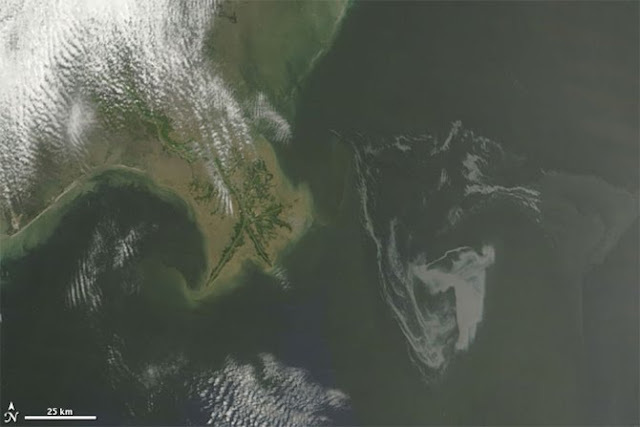 The oil slick resulted from an accident at the Deepwater Horizon rig in the Gulf of Mexico. In addition to the overall personnel responding, more than 2,000 volunteers have been trained to assist in the response effort. Weather conditions for May 3 - Winds from the southeast at 17 - 23 knots, 5 -7 foot, rough seas with chance of afternoon showers. As the containment boom starts to stretch across 4 states the outlook is grim to say the least. This disaster is growing by the minute. The toll on wildlife and the environment in general will be absolutely catastrophic. 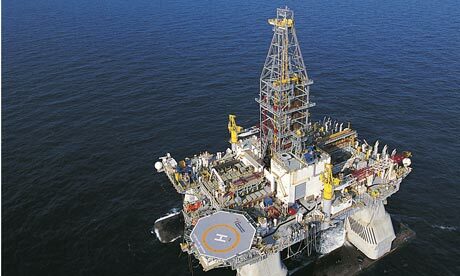 BP and Transocean are preparing a "Hail Mary" attempt at capping the well this week. They are attacking the oil leak from two directions. 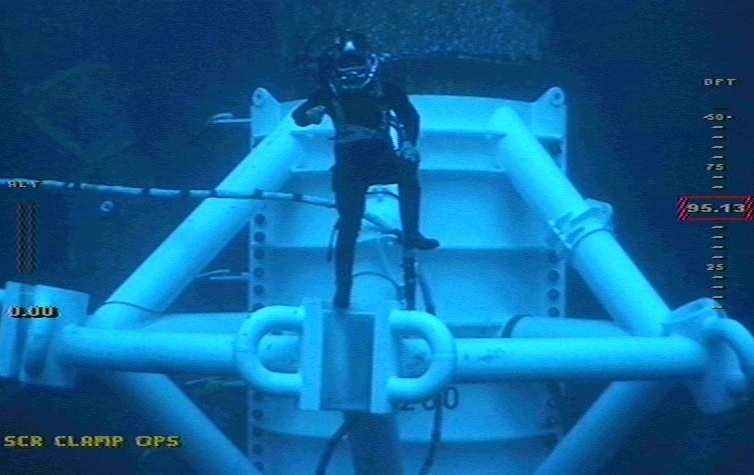 1) The Deepwater Development Driller III (above) is preparing to drill a relief well in an attempt at intersecting the damaged well and pumping cement into the well casing. They are hoping to stop the flow of oil from inside the oil reservoir itself. This operation will take weeks or even months to accomplish. 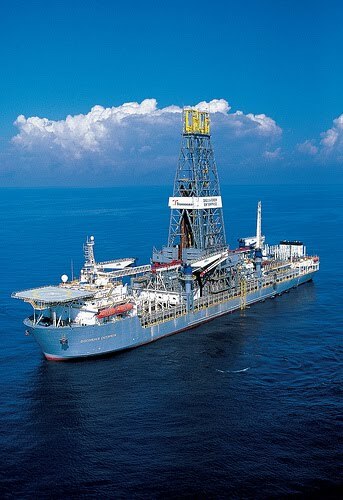 2) The Transocean drillship, Discoverer Enterprise (below) will utilize a caisson device to cover the failed BOP on the sea floor and hopefully route the leaking crude oil up to the surface to be recovered. 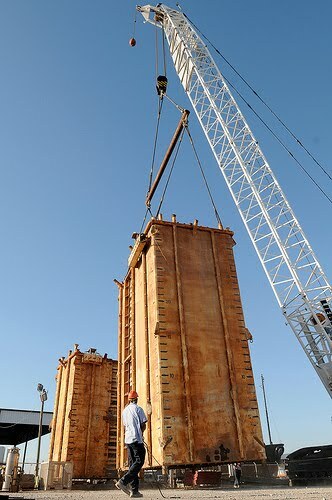 This cofferdam/caisson will be placed over the leaking wellhead & BOP. 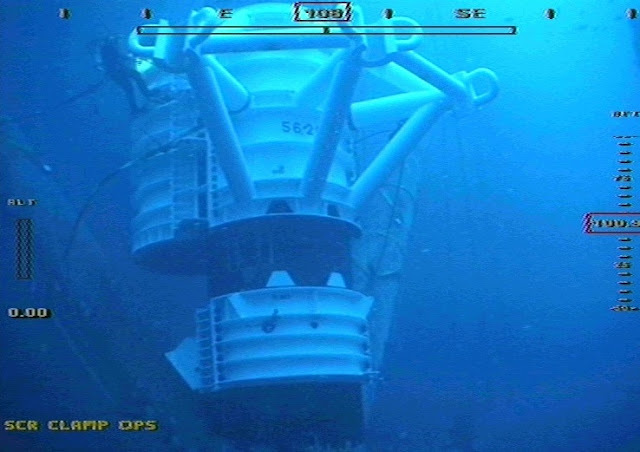 I can tell you that when working in relatively shallow water, installing large heavy objects is tough enough. Now trying to do this in 5000 feet of water is going to be challenging to say the least. This highly technical operation is indeed possible but it will be extremely difficult. I'll try to put this in perspective. Stand on top of the Empire State Building in New York city. Take a dixie cup, turn it upside down and insert a drinking straw into the bottom, now start lowering the dixie cup by attaching more straws to the first straw one at a time, keep adding straws until the dixie cup reaches all the way down to the sidewalk, now try to cover a marble with the dixie cup. These operations are costing tens of millions of dollars per day! And that is just trying to stop the flow of oil not cleaning up what has already spilled! Who is going to pay for all of this? BP? Transocean? My bet is gas prices will reach $3.50 per gallon by July 4th and $4.00 by the end of August. Last Wednesday was a very sad day in Florida for sharks and those of us who are working hard to conserve them. Dr. Neil Hammerschlag's report on the RJ Dunlap Marine Conservation Program blog sums up the day's events and the senseless waste of two pregnant sharks - a Great Hammerhead and a Bull Shark - and their 47 unborn pups. Out of tragedies, however, there are usually some positive outcomes and lessons learned. Having had a few days to calm down and think about what has happened, following are some observations. All of the onlookers gathered at the beach in Delray on Wednesday were saddened and shocked at the sight of the rare and beautiful female hammerhead and the 35 unborn pups that unfortunately were already dead when we got to them. Many people jumped in to help -- moving the massive shark out of the surf, cutting the shark to get to the pups, documenting with pictures and video (thank you Chloe! ), and even the very unpleasant job of obtaining biological samples for shark research. Several people offered to participate in beach patrols to watch for and report illegal shark fishing on the beach. THANK YOU!! Capt. Bill Hardy of Berightback Charters commented: "Any useless and senseless destruction of life in our precious and fragile ocean ecosystem must be eliminated ....... Through study and education, we may have a chance to preserve our ocean." George Campbell commented: "As a fisherman and advocate for sustainable catch and release shark fishing, I have to say that this is a tremendous loss." And he goes on to explain steps that "responsible fisherman can take to protect these animals while fishing". Captain Curt Slonim of Curtasea Charters commented: "I would ask that you just take a moment to consider making the following changes within the club; mandate Circle hooks, take measurements and photos in a minimum of waist deep water, partner with a credited Research Organization, and take Shark Tournaments off of the calendar during the time of year that is known for Shark birthing." c.uva commented: "Recreational fishing for sharks does affect the population whether it be landbased or boat based, there are ways to improve the catch and release survivabillity of sharks. I ASK SEVERAL SCIENTESTS TO COME FOWARD TO WORK ALONGSIDE REACREATIONAL SHARK FISHERMAN .... TO DECREASE MORTALITY RATES OF RELEASED SHARKS." I would say this sounds like a great opportunity! Recreational fishing is one of the largest contributors to Florida's economy. The vast majority of these fishermen are ethical, responsible and keenly aware of the need to protect our precious marine resources. There is definitely a need for more education on the value of these animals to the ecosystem, the life history characteristics and population status of Threatened shark species as well as gear and handling techniques to reduce stress, injury and post release mortality. Since the dialogue has now started, we need to keep it going and take this opportunity to make things better. 1. Circle Hooks need to be a requirement. Florida will consider a proposal to require circle hooks this year, which is a great step, but circle hooks should be required everywhere. J Hooks, which were used in both of Wednesday's incidents, often result in "gut-hooking" when the shark swallows the bait and the hook catches and tears internal organs. With circle hooks, the shark is hooked in the corner of the mouth, making the hook easier to remove and preventing the often fatal injuries caused by gut hooking or hooking the gills. 2. Regulations to protect pregnant female sharks during pupping season should be explored. Florida's coasts serve as vital breeding and pupping grounds - or Essential Fish Habitats - for several sharks species. During the Spring and early Summer, pregnant females come to these inshore areas to give birth to their pups. I honestly don't know what the appropriate regulation would be to protect these females during the pupping season. Two of the charter boat fishing captains who commented on the RJ Dunlap blog suggested either restricting land based fishing for sharks during this time of year or at least not holding land based shark tournaments during this time. Obviously more discussion is needed to come up with a rule that will adequately protect the pregnant females with the least negative impact on fishermen. What I am sure of, though, is that every one of these mature reproductive females is extremely important. Research by Dr. Gruber's team and other shark scientists has demonstrated that a very small number of these breeders is responsible for maintaining the population for their species over a very broad area. The loss of just one of these mature females, especially a pregnant one, can seriously impact the population. 3. Hammerheads need more protection. The US and Palau recently proposed protection for hammerhead sharks under CITES, yet no hammerhead species is protected in US waters. Three types of hammerheads are classified as Threatened by the IUCN Shark Specialist Group -- Great Hammerheads -- Endangered - Very High Risk of Extintion; Scalloped Hammerheads -- Endangered -- Very High Risk of Extinction and Smooth Hammerhead - Vulnerable -- High Risk of Extinction. In addition, hammerheads are considered by scientists and fishermen to be among the most fragile species, which suffer extremely high post release mortality, both from commercial and recreational fishing. See this quote from Dr. Neil Hammerschlag, Director of the RJ Dunlap Marine Conservation Program at University of Miami. 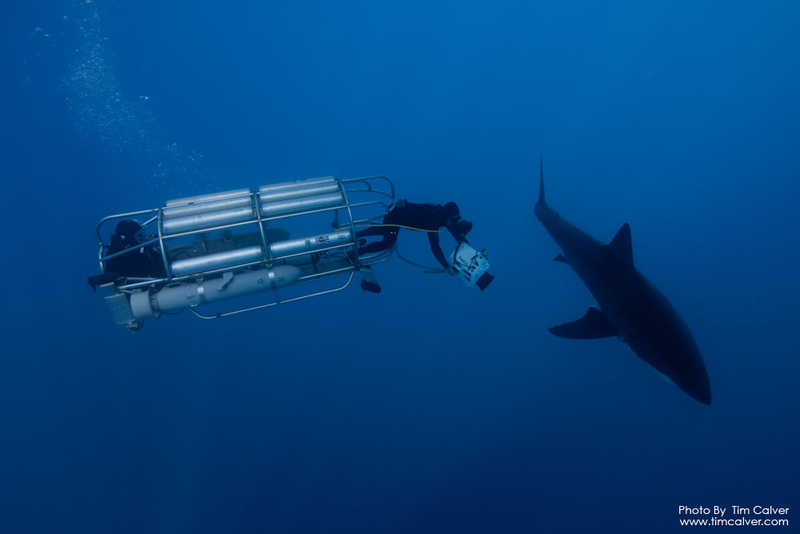 In the course of his research Dr. Hammerschlag has had the opportunity to observe and participate in the catch and release of thousands of sharks of many different species. "Based on observations of hammerheads, compared with other sharks, when they are caught on rod & reel, they exert a tremendous amount of energy to fight the angler. They try to sprint (instead of jog) the marathon of the fishing event..so they become quickly stressed and over-exerted. There are both behavioral and physiological effects that increase their vulnerability at this stage. While fighting on a line, their normal swimming ability is greatly impaired, making it difficult for them to ram ventalate (pump water over their gills) as well as offload CO2. Thus, CO2 and subsequent lactate concentrations build up in their blood. which greatly increases capture stress and post-release mortality." In addition many recreational shark fishermen attest that hammerheads very often die on the line and are much more susceptible to mortality than other shark species. Because of this extreme fragility, I believe hammerheads should not only be Prohibited Species, but perhaps should be also be given protection under the Endangered Species Act. With ESA protection, any hammerhead accidentally hooked would have to be immediately cut loose, as is the case with smalltooth sawfish. 4. Enforcement should be improved. The agencies responsible for enforcement have limited budgets and personnel. Despite these difficulties, however, efforts could be improved. Education for enforcement personnel on what the regulations are, how to identify violators, and the importance of enforcing the regulations would help. Education and coordination of public volunteers to assist with enforcement could also relieve some of the pressure on these stressed agencies. 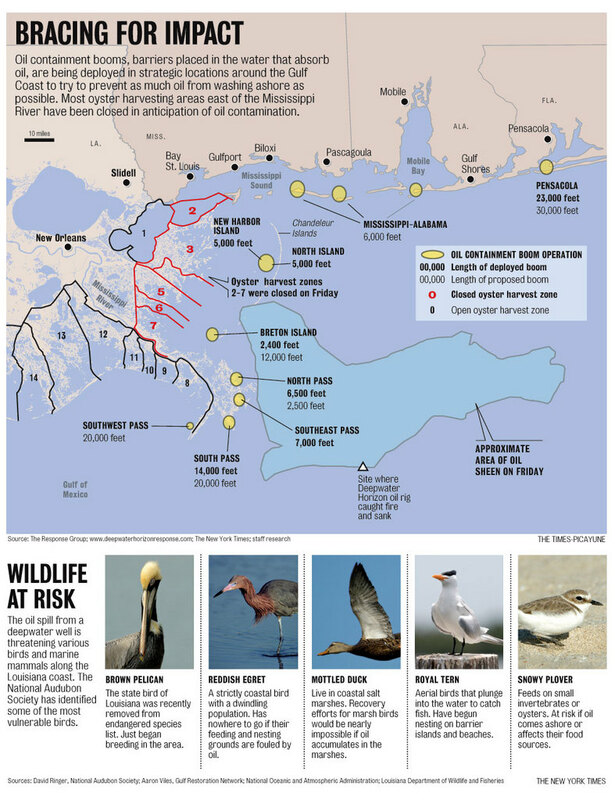 We in the conservation community can help this area. 5. More study is needed on Catch and Release stress and mortality. According to NOAA Fisheries reports, approximately 550,000 sharks were harvested and another 14 million sharks were caught and released alive by recreational anglers in the US in 2007. And NMFS estimates that at least 20% of released fish end up dying. This works out to 14 million @ 20% = 2.8 million sharks + 550,000 = over 3.3 million sharks. Commercial shark landings in 2007 in the US totaled 15 million pounds. Using an estimated average weight of 10 lbs per shark, this works out to an estimated 1.5 million sharks. If the 20% mortality figure is correct, then the recreational fishing impact on sharks may be more than double that of commercial shark fisheries in the US. And the bulk of that number comes from well-meaning people who don't even intend to kill the animals! These numbers should a provide a big incentive to fund research aimed at understanding the causes of post release mortality and reducing it.